AD Joinery and Building | Floating Wall with feature shelves & lighting. 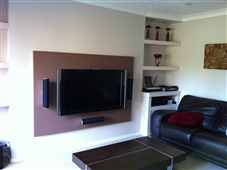 Below are images of the selected job - Floating Wall with feature shelves & lighting. - simply click the images to view larger versions.